The Prince of Wales hosted a Garden Party at Buckingham Palace to celebrate the work of his Charities and Military Associations. His Royal Highness, accompanied by The Duchess of Cornwall, met a number of the 6,000 people who were invited from 386 of his Patronages and 20 of his Military Associations. A number of guests from the Police, Fire, Ambulance, Mountain Rescue, and RNLI also attended. 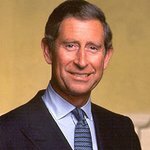 The Prince of Wales is also Patron or President of over 420 charities. The oldest patronage being the Bath Preservation Trust, which The Prince has been Patron of since 1973. See the full list of The Prince’s Patronages. For over 40 years His Royal Highness has been a leader in identifying charitable need and setting up and driving forward charities to meet it. The Prince of Wales carries out hundreds of engagements every year in support of both his, and others’, charities. Collectively The Prince of Wales’s charities raised more than £120 million annually to support The Prince of Wales’s charitable work in the UK and overseas. 100 Cadets from Youth United helped with the day’s events. In 2009, passionate about youth social action and uniformed youth, His Royal Highness brought together heads of the Nation’s leading uniformed youth groups to form the first collaborative network for uniformed youth. A number of the cadets and emergency services personnel attending were first responders after the bombing at the Manchester Arena on 22nd May 2017. The Prince of Wales and The Duchess of Cornwall visited Manchester Arena on 26th June 2017 to meet staff who were first on the scene immediately after the bombing.